Everyone loves a road trip. Just you the car, some sunshine, music on, and the open road stretching out in front of you. The freedom to choose when and where to stop and to dive off the route if you fancy. Ireland has great road trips of its own but if you could choose anywhere in the world to head off down the highway, where would you choose? A recent survey of 2,000 people revealed the world’s favourite road trips. Have a safe trip. 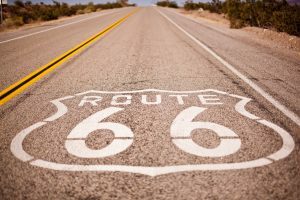 Think ‘road trip’ and Route 66 springs to mind so it’s no surprise that it topped the poll. 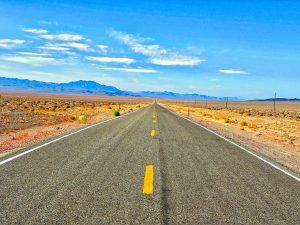 At 2,448 miles long, it stretches from Chicago to Los Angeles crossing 8 states along the way. 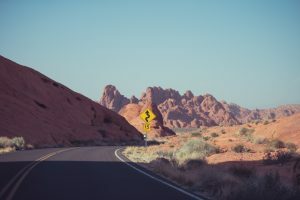 If you decide to drive the entire length of the Route on a 2-week holiday then you’re looking at driving 175 miles a day which may take you 3 to 4 hours (highway speed limits vary from 55 to 75 MPH). The Grand Canyon is the second most popular American road trip but, unlike Route 66, it’s a destination rather than a route. It’s a pretty big destination, however, up to 277 miles long, 18 miles wide and over a mile deep. 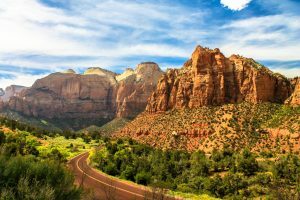 Popular road trips including starting from Denver, San Diego and Las Vegas depending on how long you want to spend on the highway. The Pacific Coast Highway (PCH) runs south along the Pacific coastline between the iconic cities of San Francisco and Los Angeles then all the way to San Diego. Remember that you will be beside the Pacific – it’ll be on the right-hand side of the car – if you drive the route north to south. At just over 500 miles, you can comfortably make this road trip part of your longer holiday itinerary. The first road trip outside of the US to make it into the top 10 is the 1,437-mile drive from Perth on the southern coast of Western Australia – considered one of the most isolated cities in the world – to Broome in the north which is closer to Bali in Indonesia than it is to Sydney. The trip combines desert with coastline providing a vast number of sites of outstanding natural beauty. Whether you plan to drive the entire circuit around the island or break it up into north and south loops, most people start in Christchurch and simply head out from there. 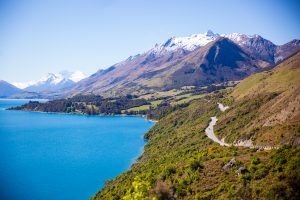 You can stop off along the way to enjoy the stunning sights of Lake Tekapo inland, Franz Josef Glacier on the west coast and Queenstown further south which considers itself one of the world’s great adventure capitals. The Great Ocean Road runs from Torquay – 60 miles west of Melbourne – to Allansford and snakes along some of the most southerly coastline in Australia (the next stop is Tasmania and after that Antartica). 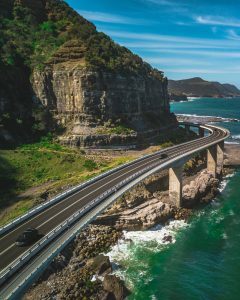 The road has just one lane running in either direction and, at 151 miles, is one of the shorter road trips in the top 10 making it easy to combine with the rest of your Aussie holiday. The Cowboy Trail runs from the Canadian province of Alberta to British Columbia. Most road trippers start in Calgary then head west to Banff. You can then take the long route to Vancouver by driving north to Jasper National Park before crossing into British Columbia or by going straight on from Banff to Vancouver on the Pacific coast. The Argyll coastal route is the first road trip in the top 10 that you can choose to drive in your own car. Ferries from Northern Ireland run to Cairnryan and you can then drive northwards up the coastline from there to Fort William visiting Glasgow along the way. You can also take in the Isle of Arran, Jura, Islay and the Isle of Mull or venture 20 minutes east of Fort William to Ben Nevis. The directions for a road trip around Iceland on the ring road couldn’t be simpler. Take route 1 and keep going until you get to where you started. Most people start from Reykjavic trip of over 800 miles takes you around Iceland past glaciers, fjords, volcanoes and icebergs. Just remember to keep an eye out for reindeer on the road. Snowdonia National Park has some of the most spectacular scenery in the British Isles outside of Ireland. Start the road trip on the coast at Conwy and head south inland via Betws-y-Coed and Ffestiniog to the Park where you can take a train to the summit of Snowdon in the spring and summer. If you need a Bank of Ireland loan to help with the cost of your road trip click here to find out more. Lending criteria, terms and conditions apply. Over 18’s only. 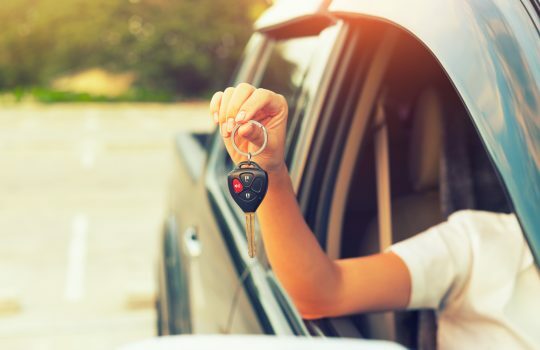 Read more of Do you remember your first car?